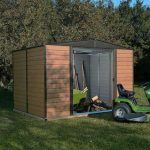 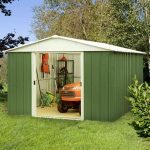 Buy one of these metal sheds and you have the very best in durability. 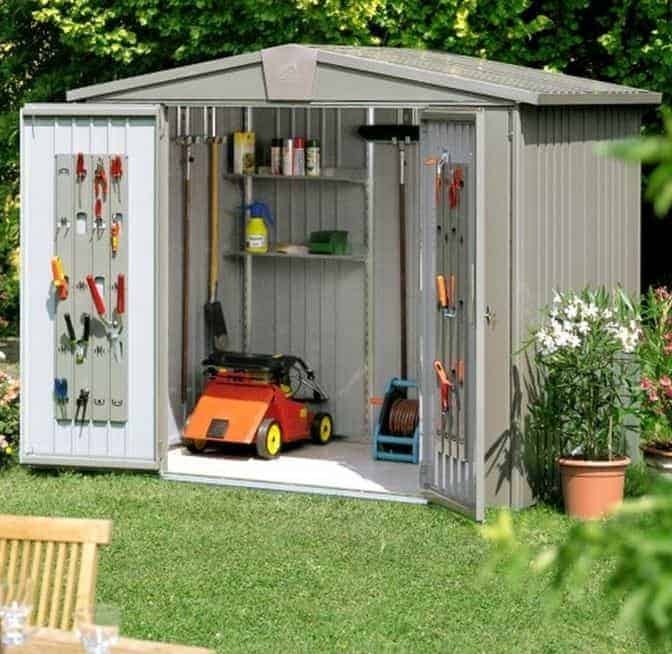 This is because the shed is built from galvanised steel. 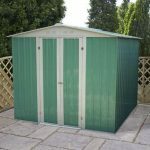 This steel has been hot dipped in zinc, which means that you have a shed that can withstand all kinds of weather with ease. 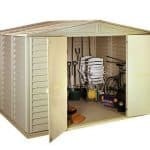 A 20 year manufacturers guarantee backs up the peace of mind that this material brings to your building. 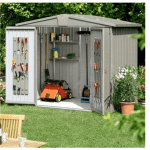 As if to reinforce this feeling of durability, the manufacturer has ensured that all the fittings, including the bolts and hinges, are created from steel of the highest grade. 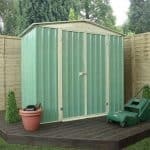 The shed is also available in many sizes.